With new picture books pouring into the library system every day, I can say that Americans are blessed with an embarrassment of riches. We can take our children to storytime every week and come home with an armload of books for free. Well, yes, it is taken out of your taxes, but wouldn’t you rather use your tax dollars this way than to make use of the fire department every week? Alright, then. On the other hand, boatloads of books can make good choices difficult. Here are some of my favorite new books—“new” meaning within the past year or maybe two. I have left out anything that I’ve already mentioned in a previous part of this article and have loosely grouped them into similar styles or themes. 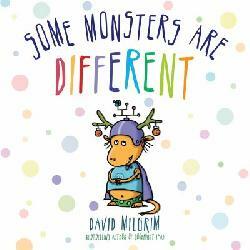 David Milgrim- Some Monsters Are Different. Pastel, non-scary monsters turn out to have the same differences that human children do! Funny. David Shannon- Bugs in My Hair. David Shannon writes many hilarious books about his less-than-sterling childhood. This icky title is full of puns and laughter. 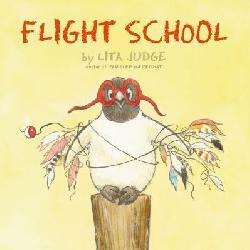 Lita Judge– Flight School. A penguin story about a little water bird who will do anything to fly. He declares that he has “the soul of an eagle.” Fabulous writing. Tori Corn- Dixie Wants an Allergy. Dixie is jealous of all the kids in her class who have allergies, and she wants to be special like them. An interesting way to teach about both allergies and contentment. Jill Esbaum- I Hatched! A killdeer chick hatches and discovers the wonder of himself! Very enthusiastic and childlike, including matter-of-fact exploration of his whole body. 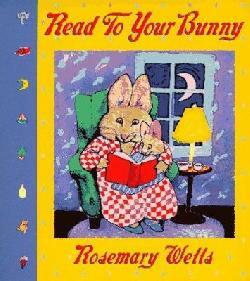 Makes a great read-aloud. Barney Saltzberg- Tea with Grandpa. Timeless sweetness with cutting-edge technology, a little girl has tea with her grandpa every Saturday. Only on the last page does the reader discover that it’s a Skype teatime. 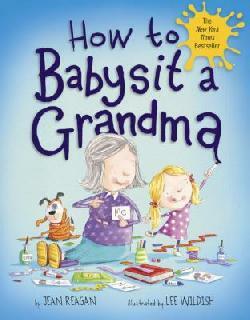 Jean Reagan- How to Babysit a Grandma. A new sequel to the hilarious How to Babysit a Grandpa, this child teaches other kids how to keep Grandma busy, how to take her to the park, and other skills. 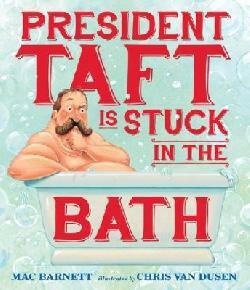 Mac Barnett- President Taft Is Stuck in the Bath. Full-on comedy for this dubiously historical event. Gloria Whelan- Queen Victoria’s Bathing Machine. How can Victoria be modest and queenly, yet still enjoy the ocean? Prince Albert to the rescue! Brad Meltzer- I Am Rosa Parks. Meltzer has recently launched these picture book biographies that show famous individuals as children. See also I Am Abraham Lincoln and I Am Amelia Earhart. More to come! Clotilde Perrin- At the Same Moment Around the World. Here’s an unusual topic for picture books: time zones. This tall, skinny book shows children pursuing activities in each time zone, with a map in the back to show them all at once. Karen Kaufman Orloff and David Catrow- I Wanna Iguana. A little boy and his mom exchange messages about the pros and cons of buying an iguana. Might encourage writing; might discourage the gimmes. Features Catrow’s wildly energetic illustrations. Katy Beebe- Brother Hugo and the Bear. A medieval take on “the dog ate my homework.” Brother Hugo says that Saint Augustine’s writings have been eaten by a bear, so he has to copy a new illuminated manuscript. Kyo Maclear- Julia, Child. How Julia Child and her friend Simca learned to love French cooking as children. Encourage your little chef! 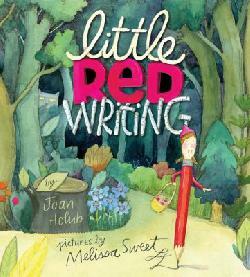 Joan Holub- Little Red Writing. A retelling of Little Red Riding Hood starring a red pencil who writes her own story, including facing down a pencil sharpener called the Wolf 3000. Barbara Bottner- Miss Brooks’ Story Nook. Sequel to the fabulous Miss Brooks Loves Books (and I Don’t), this librarian heroine uses stories to deal with real-life problems. 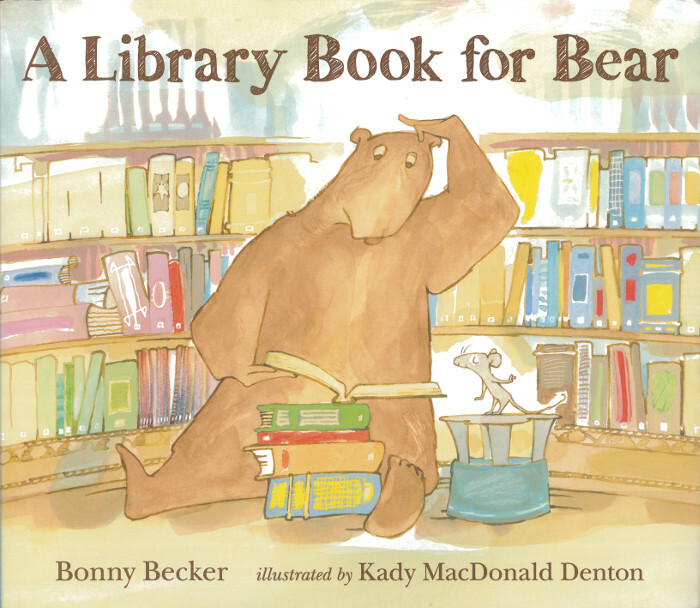 Bonny Becker- A Library Book for Bear. The latest in the series that began with A Visitor for Bear, these humorous stories about a curmudgeonly bear and gregarious mouse are absolute favorites. 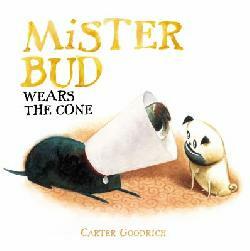 Carter Goodrich- Mister Bud Wears the Cone. Poor Mister Bud. He had a hot spot, and he worried it so much he had to wear the cone. If you’ve seen the movie Up, you know the shame involved. Hilarious and poignant tales of an old dog and the young upstart. The first in the series is Meet Zorro. This is probably my favorite picture book so far this year. Stephen Huneck- Sally Goes to Heaven. The very last book in the “Sally” series about this beloved black Lab. Illustrated with distinctive woodcuts. We will miss Sally. John Himmelman- Katie and the Puppy Next Door. Katie learns about friendship with other dogs. First in this series is the adorable Katie Loves the Kittens. 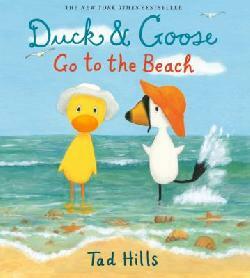 Tad Hills- Duck and Goose Go to the Beach. Duck thinks he wants to go the beach, but then doesn’t like it. Goose doesn’t want to go, but then loves it! Hills is the author of the How Rocket Learned to Read series. Torben Kuhlmann- Lindbergh. A mouse decides to build a plane to escape the new mousetrap. Detailed artwork in saturated watercolors. 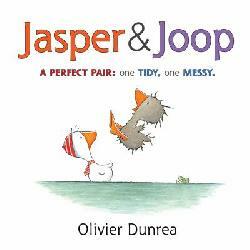 Olivier Dunrea- Jasper & Joop. Adorable, simple, little stories about ducks and geese who might remind you of your toddler. Lots of white space behind vividly colored waterfowl. The series begins with Gossie. 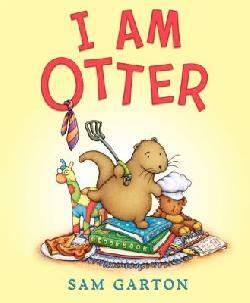 Sam Garten- I Am Otter. When a stuffed animal’s owner grows up, Otter decides to open a toast restaurant, but when nothing goes as planned, she blames Giraffe. Hilarious, with plenty of humor for the grown-up reading it aloud. Alexander Steffensmeier- Millie and the Big Rescue. Millie is one mischievous cow. In this episode, she gets stuck in the top of a tree while playing a game of hide-and-seek. The series begins with Millie Waits for the Mail. Great artwork. 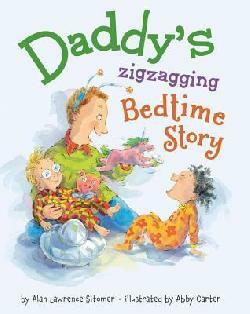 Alan Lawrence Sitomer- Daddy’s Zigzagging Bedtime Story. What’s a daddy to do when he has a girl and a boy who want stories? What about truck-driving aliens who burp fire with a purple unicorn who bakes cupcakes? A wild and rollicking bedtime for all. Jennifer Gordon Sattler- Pig Kahuna Pirates! In this sequel to Pig Kahuna, pig brothers Dink and Fergus are excellent sibling role models as they play pirates on the beach. Picture book pigs rock. Keiko Kasza- My Lucky Birthday. Another book about a terrific pig, although this one may end up as an alligator’s birthday dinner. Sequel to My Lucky Day. Jeff Cohen- Eva and Sadie and the Worst Haircut Ever. As an older sister, I can attest that the desire to improve—and thereby totally wreck—your younger sister’s hair is universal. Aaron Becker- Quest. Remember Harold and the Purple Crayon? Here is a girl with a red marker, but instead of line drawings, Becker uses beautiful, detailed paintings to take readers on a Journey (2013) and then a Quest (2014). 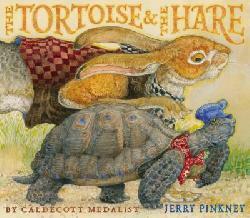 Jerry Pinkney- The Tortoise and Hare. Award-winning artist Pinkney fills the pages with paintings in this “retelling” of the Aesop’s Fable. Let your children tell the story as they drink in the artwork. See also the Caldecott-winning The Lion and the Mouse. 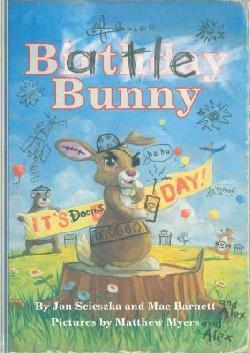 Jon Scieszka- Battle Bunny. A deconstructionist take on Little Golden Book-type picture books. The artwork shows a sweet picture book scribbled in, erased, and defaced in order to tell a more exciting tale from a little boy’s perspective. Pictures by Mac Barnett. Between these two guys, you can’t expect anything traditional. Molly Schaar Idle- Tea Rex. Cordelia is a no-nonsense little girl who sets out to domesticate a T-Rex by teaching him tea party manners. Hervé Tullet- Press Here. An interactive book with no moving parts! This 2011 book started a trend of books that use digital concepts, but unplug kids from electronics. I handed these out to a room full of adults and watched them tapping the book, turning it upside down, and shaking it, totally engrossed. Coming in September: Mix It Up! N.D. (Nathan) Wilson- Ninja Boy Goes to School. A little boy uses his ninja skills in order to succeed in—and escape from—school. Not quite socially acceptable. The author of 100 Cupboard’s first picture book. Lemony Snicket and Jon Klassen-The Dark. Portrays “the dark” as an entity that lives in a boy’s house. He is afraid of it until they make friends. Can Lemony Snicket do anything ordinary? A bit frightening, so use discretion. 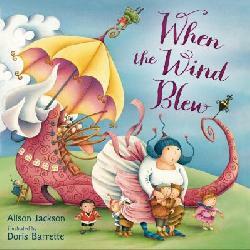 Alison Jackson- When the Wind Blew. Nursery rhyme characters and conventions get all mixed up when the wind blows, and it’s up to the Old Woman Who Lives in the Shoe and her many children to straighten everything out again. Great fun for children who know their nursery rhymes. 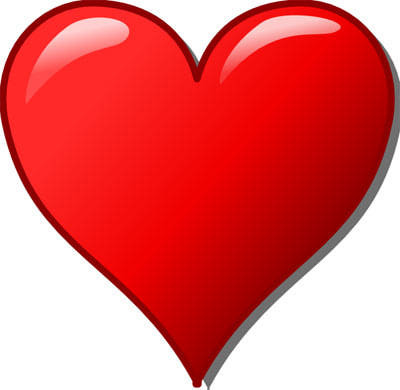 Refreshing: a generously proportioned heroine and a happy home with more than 1.8 children. Did I miss your favorite new finds? Please feel free to add them to the comments so that we can all enjoy them. Disclaimer: This series of articles, as indeed all of my articles, are written entirely on my own and do not reflect the opinions of my employer or anyone else. Readers love series. You do. I do. Once you fall head over heels for your favorite characters, you have to know what they’re up to now. Whether you like gritty crime novels or cozy village mysteries, there’s always another case to solve, although how Jessica Fletcher found so many murder victims in little Cabot Cove is disturbing. I think I’d move. Children are no different. If you enjoyed giving a pig a pancake (Laura Numeroff), you’ll probably like to give a moose a muffin. 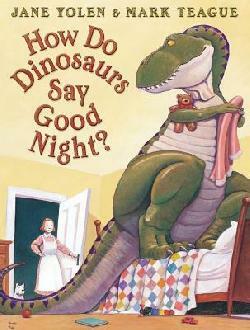 If you needed to know how dinosaurs say goodnight (Jane Yolen), you’ll probably want to know how they get well soon. If the formula works well for your kids, keep the fun going. A series is a sure thing. Once you find a hit, it’s such a relief to know that there are many happy bedtimes in your future! 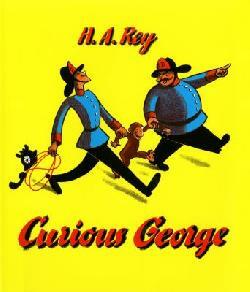 Fancy Nancy (Jane O’Connor), Curious George (H.A. 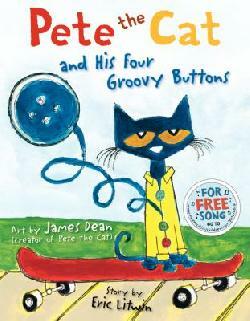 Rey), Olivia (Ian Falconer) and Pete the Cat (Eric Litwin/ James Dean) are some of the best characters out there. Even Madeline (Bemelmans), Thomas the Tank Engine (Awdry), and Babar (de Brunhoff) were the stars of series in their day. When I run a report of the 100 most popular picture books in our library system, I have to read past the 70th title before I find a non-series book. Isn’t that shocking? Pity the new author trying break into publishing these days! As a book selector, I am always on the lookout for original new work, and finding a gem is exciting. Of course, next year, that gem could turn out to have been the first of a series, too. Not all series are intentional. Sometimes an author writes a new book that is just so popular that the readers want more, so first there is a sequel, and if that goes well, it could go on forever. As we all know, some series run out of gas and become formulaic. When publishers find a cash cow, though, they will keep on milking until it’s dry! So, at what point does a series become a “commercial series”? Since all publishing is done for profit, I suppose they are all commercial in a sense, but you know that when you can purchase the video, the lunchbox, the action figures, and the t-shirt, you’ve got a commercial series on your hands. Television and merchandising for children are incredibly profitable, and the vast majority of publishers for children today are part of a large media conglomerate. Many television characters become a brand, and they wrap themselves in wholesome flags of education so that, as a parent, you can be proud to purchase their products for your kids.When I was in Minneapolis a few years ago, we went the Mall of America and saw a three-story-tall balloon of Dora the Explorer—inside the mall! You may remember from the first part of this article that the very earliest books for children, back in the late 1800s, were didactic little tomes written to admonish children to behave properly. Flash forward to today and look at the messages in many of the commercial series, whether television or books. 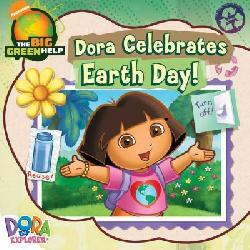 “Save the planet” may be number one. How many times does your child have to be told to recycle? That’s so boring! Parents can model that behavior and kids can participate in family life and then go play. I completely reject the popular idea that children should educate their parents. Anyone who thinks that children are more virtuous than their parents has never seen a toddler playgroup when the mommies get lost in their conversations. Someone always ends up screaming, and the mommies go home and drink wine. And it doesn’t get any better as they get older, as anyone who has read Lord of the Flies can tell you. God gave humans long childhoods so that their parents would have time to civilize them. Probably the second most common theme is liking school and behaving well in class. 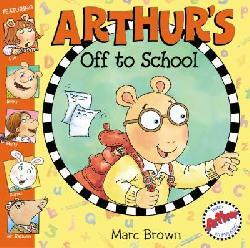 “Back to school” stories are sure hits every year. Commercial series are very big on molding good citizens. We all want good citizens, but how about well-rounded, curious, thoughtful, creative, happy children? Perhaps there’s not much separating today’s commercial series from those dreary first books except the brightly colored pictures. Each child is a brand-new, original human being, not just another brick in the wall. Should you avoid commercial series altogether? Absolutely not! 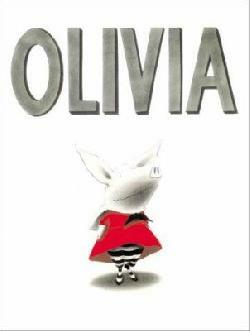 Olivia is adorable, and her original books are brilliant. Just be aware that the new ones that have come out since the TV show are different, and you may want to pay attention. Dora and Diego are model little people, and a bit of that is a good thing. If your kids love Team Umizoomi, Daniel Tiger’s Neighborhood, Yo Gabba Gabba, or any one of a dozen more TV shows, and you worry that they’re not reading, if you can hook them into books with familiar characters, go for it. Your kids’ friends are going to talk about characters that they see on TV, and it’s fine for your kids to know them, too, so that they can chatter along. I certainly read series books, and I’m sure you do, too, but you know how a steady diet of chick-lit or spy thrillers can make you sick after a while. We all need something more nourishing. C.S. Lewis said it best in The Voyage of the Dawn Treader when he revealed that Eustace was the way he was because he had read all the wrong books. 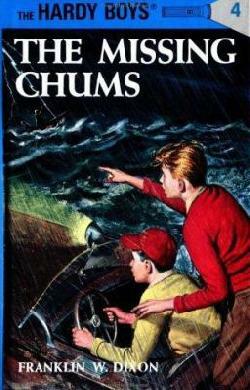 When my son was a certain age, he wanted nothing but Hardy Boys mysteries. Now, we all want the lads to solve mysteries with their chums, but after months of them, his reading progress started to flatline. Time to find something new! Next time, we’ll look at some of the great new picture book titles coming out that will delight you and your children. Some of them are in series! Classic picture books are those that we all remember from childhood— and our parents and grandparents may even remember them from their childhoods. They provide more cultural cohesion than Common Core could ever hope to do. No one has to legislate or prescribe picture books; we all love them and ask for them over and over again. 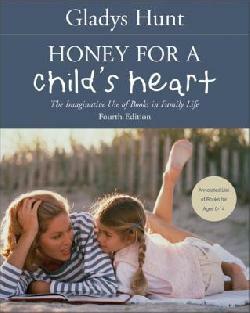 My two favorite resources that I used as a mother for finding excellent books are Honey for a Child’s Heart, by Gladys Hunt, and Books Children Love, by Elizabeth Wilson. Both of these guides are written from a Christian perspective, and may be well-known to you already. My copies are old and generously marked-up, but they are available in ever-updated editions, as well. Even though these books, especially Honey for a Child’s Heart, have extensive lists of picture books, they are only a jumping-off point. There are wonderful new picture books coming out every day, so be sure to weave new and old into your reading lists, just as you do for yourself. Although fairy tales and Mother Goose are not picture books per se, they are such a part of our oral and written traditions as a society that they provide rich fields of inspiration for artists, so most of us tend to experience them in gloriously illustrated picture books. Older children may learn Andersen’s or Grimm’s Fairy Tales in a larger, picture-less book, but a first taste of these terrifying tales on Dad’s lap is much friendlier. As adults, we expect others to know what we mean by “the big, bad wolf” or “turn into a pumpkin” without explanation. There is so much assumed knowledge in a culture, and a large part of it comes from the shared experience of childhood stories. Be sure that your children are introduced to this rich heritage. Certain editions of these stories have almost become the industry standard. 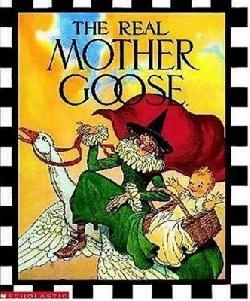 We love, for example, The Real Mother Goose, illustrated by Blanche Fisher Wright, but the Rosemary Wells or Tomie de Paola editions, as well as many others, are also lovely. Marcia Brown’s retelling of Stone Soup, originally published in 1947, was probably familiar to your children’s grandmother. Paul Galdone is one familiar illustrator who has made individual books from many Mother Goose rhymes, as well as folk tales and legends. 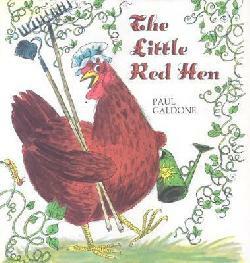 Galdone is a reliable author for The Three Little Kittens, The Three Little Pigs, The Little Red Hen, and many other classic children’s tales. Other more formal illustrators of folk and fairy tales include K.Y. Craft (try Cinderella) and one of my favorites, Trina Schart Hyman (try Little Red Riding Hood). Some fairy tales may be found in the picture book section of your library, but others will be in J398.2, with Mother Goose in J398.8. Ask the library staff for help. I always did, and found many treasures that way. Other original picture books have found their ways into our hearts, as well. 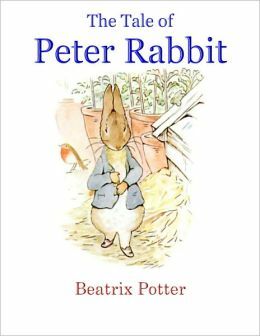 Beatrix Potter, for example, is the beloved English author of the small books about Peter Rabbit and his friends. Both the words and the illustrations are by Potter, and we can’t imagine naughty Peter or his good little siblings Flopsy, Mopsy, and Cottontail any other way. How many children have fallen asleep to Margaret Wise Brown’s Goodnight Moon, and how many parents have been unable to finish reading Margery Williams’ The Velveteen Rabbit from weeping? Some of our favorite picture books when my son was growing up were those by Robert McCloskey, especially Blueberries for Sal. McCloskey wrote such gentle tales that even the scariness of the mother bear was not too much for a young child. Make Way for Ducklings inspired the sculpture in the Boston Public Garden, showing a simpler time when even a big city could come to a halt for a feathered family. 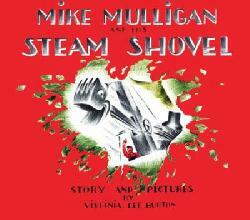 The picture book that probably garnered the most re-readings in our house was Mike Mulligan and His Steam Shovel, by Virginia Lee Burton. For boys, what’s not to love? Noisy construction equipment, a dare, a race against time, and the love between man and machine. For Mom, a happy, quiet ending right before bed. The Caldecott Award, beginning in 1938, has been awarded to the artist of the most distinguished picture book of the year. While there are many fabulous picture books on the list, it is important to note that the award is for the artist, not the author. Even when this is the same person, the book is being lauded for the illustrations, not the story. 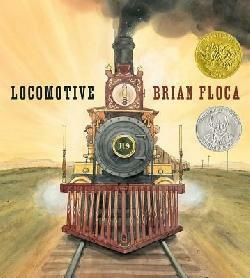 This past year’s award, for example, went to Locomotive, by Brian Floca, and while it is luminous and brilliant, it is a nonfiction title for slightly older children and would not make a great bedtime story. Castle, by David Macaulay, which won an honor in 1978, is another excellent nonfiction Caldecott book. Locomotive and two of this year’s honor books, Journey and Mr. Wuffles were all favorites of mine. 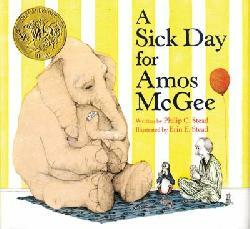 One of the sweetest books ever is A Sick Day for Amos McGee, by Erin Stead, which won in 2011. I remember closing the book and hugging it the first time I read it. I also love The Lion and the Mouse, a wordless book by Jerry Pinkney, from 2010, Knuffle Bunny, by Mo Willems, an honor book in 2005, and Click, Clack, Moo: Cows that Type, by Doreen Cronin, from 2001. Rapunzel, by Paul Zelinsky, in 1998, Puss in Boots, by Fred Marcellino in 1991, and Fables, by Arnold Lobel in 1981 are wonderful examples of fairy tales and traditional tales retold with new illustrations. 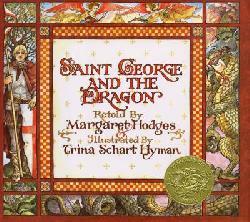 My beloved Trina Schart Hyman won for the intricate Saint George and the Dragon in 1985, and the two Robert McCloskey titles discussed above won in 1949 and 1942. You may also recognize titles like Where the Wild Things Are, Sylvester and the Magic Pebble, and other stories no child should miss. Click on the link above and start checking off your list. There are few more beautiful and enduring experiences than reading a picture book with a beloved child on your lap. Cuddling up at the end of the day with a toddler in footie pajamas, peacefully reading a favorite story for the sixth or seventh time, only to hear, “Read it again!” at the end, is not only heartwarming, but more valuable than it appears on the surface. Picture books are the literature of young children’s books, and they form a large part of our cultural literacy. 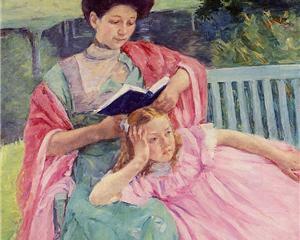 Picture books are created to be read aloud to a child, although they may be read again by an older child, as well. Board books, besides making excellent teethers, are created to safely teach children the rudiments of holding books, turning pages, moving from left to right, in addition to learning the concepts and simple stories contained within. Later on, beginning readers are especially written with controlled vocabulary and large, simple fonts in order to teach children to read. While one may occasionally find exceptional writing in beginning readers, by and large they tend to be didactic, with the story taking a back seat to the instruction. Picture books, though, are stories. In all societies and throughout all ages, stories have been told to inculcate cultural values and to lead children into what it means to belong to the human family. They may be simple, domestic tales of daily life familiar to the child, or they may be set in fantastical worlds where children defeat terrifying beasts and return safely to their beds. Picture books can have complex language and advanced vocabulary, or they may have just a few perfectly chosen words on each page. Either way, they introduce little ones to the beauty and power of the written word. Themes in the best children’s stories both explain the visible world to them and widen their horizons, without ever having to leave Mom’s lap. Many stories reassure kids that they are loved and safe, teach them that they should be kind to one another and share their toys, and reinforce life’s comforting routines and rhythms. In more exciting tales, risky situations are often acted out by animals to create a bit of distance, and even wild animals like bears are depicted as soft and bumbling. Other stories show scary scenarios—from the first day of school to being captured by pirates—with the young heroes finding confidence to gain control over their worlds. 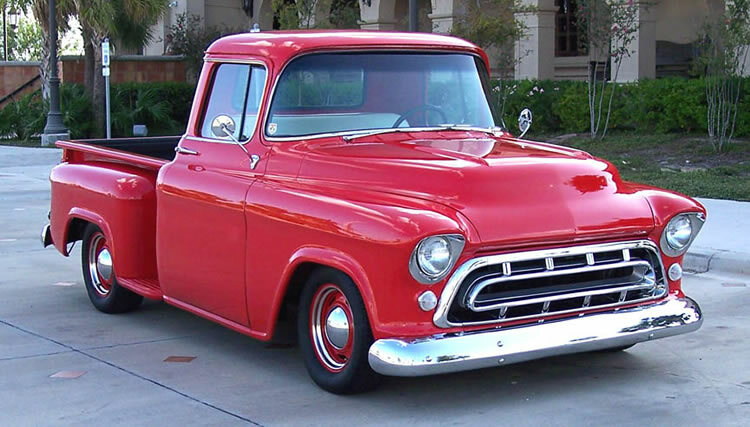 Books provide vehicles to practice succeeding in difficult situations before they happen. Imagine how much more difficult it would be to defeat those pirates if the child had not been sword-fighting in books for years! Until the late Victorian age, children were treated as miniature adults in the western world, so there were no books for children, and even after that, the first books for kids were dreary, didactic tales written to promote good behavior. There are valid reasons that most of those screeds are only seen in university classes on the history of literature, while the nonsense poetry of Edward Lear is still popular today. 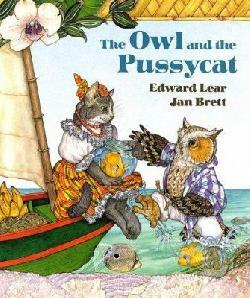 It seems that a newly illustrated version of “The Owl and the Pussycat” comes out every few years. Even today, many cultures do not have books that we would consider picture books, but instead their books for young children have tiny little illustrations tucked into yards and yards of text. Some of the most popular picture books today help to develop a pint-sized sense of humor, from amusingly silly to screamingly funny, and like a Pixar movie, there are bits that will only be appreciated by the accompanying adult. In order to do justice to this great form of literature and to have room for some title recommendations, I plan to treat several different types of picture books separately. My next article will be about classic picture books, including fairy tales and Caldecott winners. 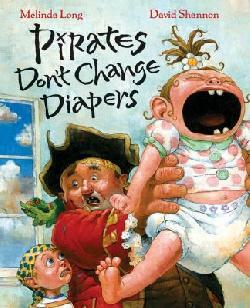 After that, I will discuss the phenomenon of the commercial picture book series—the good, the bad, and the ugly. Finally, as a librarian and children’s book selector, I get to see everything new that’s coming out, and I want to let parents in on some of the best new picture books that I’m reviewing and purchasing at our library so that they can make better use of their limited time on library visits. After all, it’s hard to make good decisions when you can’t find your five-year-old and the two-year-old is wrapped around your leg, since you’ve had to remove her from the stroller so that you could fill it with books. I’ve got your back. I’ve been very excited to see readers from Russia, Ireland, and Canada in the past few weeks. Please keep sharing! Spring has finally triumphed over this long, chilly winter. I know this because my formerly gray car is now yellow. Although I love the change of seasons, I dread trying to find clothes to wear in my meager wardrobe. 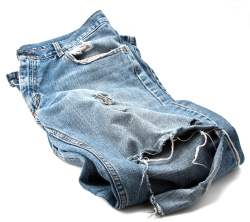 At the end of every season, I put my worn-out warm or cool clothes away and take comfort in the belief that by the time I need them again, I will be so much thinner and richer that I will go out and buy a whole new wardrobe. I don’t know why I keep on believing this, but I always do. And here I am, still broke, but 25 pounds lighter, not really ready to invest in a bunch of new clothes and not able to afford it if I were. I have found a few things that I couldn’t fit into last year, so that’s good. Someone at work told me that Oprah has an entire room devoted to each size that she flits through. I wonder how many rooms she uses for closets? I get about a thousand reviews a month sent to me at work to consider for the tender little ones of our county. 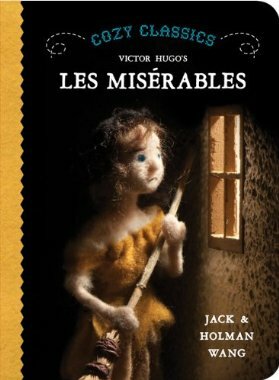 For those of you who are interested in the youngest generation, here are some of the latest titles in board books for your toddlers: Les Misérables and War and Peace. Oh, yes. After announcing the titles to anyone within earshot of my computer at the library, I promptly deleted them from the vendor’s order cart. There is also an entire board book series based on classic titles. I cannot begin to express my disdain for parents who are so breathlessly terrified that little Abercrombie may not get into Yale that they begin World Literature classes while he is still in diapers. Cultural literacy is inculcated at this age by Mother Goose and Little Red Riding Hood. There’s enough there to keep all of you sleep-deprived for months. You can teach Abercrombie grace and redemption à la Jean Valjean by administering proper punishment and forgiveness the next time he thwacks his sister Honoria over the head with his toy train. 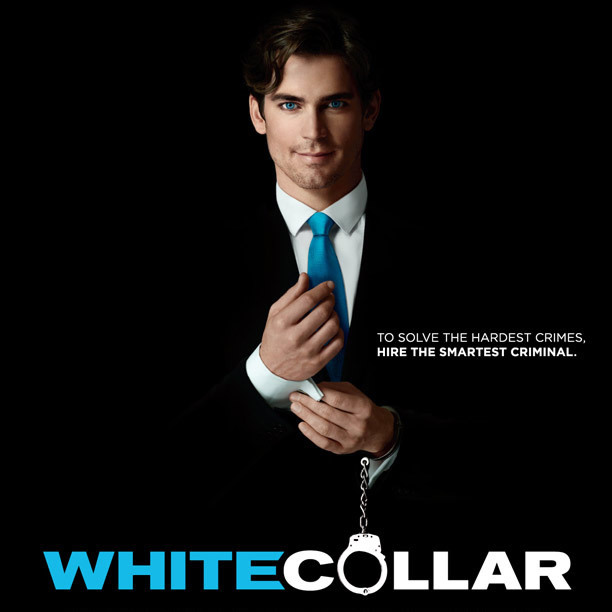 Lately, David and I have jumped into White Collar, a series that had been recommended to me by two friends, but since I’m pretty stubborn, I’m just getting around to it. We love it. I think it’s currently in its fourth season, so lots more to look forward to. If you’ve seen Leo DiCaprio in Catch Me If You Can, you get the gist. Super-smart criminal ends up working for the FBI because they can’t figure out how to stop him otherwise. Interesting cases, great ensemble casting, and big, blue eyes. So, I fought my way down 25 pounds and got stuck. I think the reason is that our treadmill has lost its “incline” feature. I used to have a good time setting goals for myself and really working up those hills. Walking on the flat surface is just not as fun nor as effective. David took the cover off the motor part of the treadmill, so now I can see everything moving when I walk, which is kind of scary. No, we are not accepting amusing theories as to why our treadmill may not be able to lift up anymore. David had taken on a second job for a while so that we could have a regular paycheck on his side and get some debts paid off. He would get up at 6:00 with me, as usual, and leave just after I did to get to his office. If he came straight home, he would get home just after I did in the evening, but he usually went out to show houses and got home between 7:00 and 8:00. In either case, he went right to his laptop and cell phone and worked until 10:00 or 11:00 at night, then got up to do it again the next day. Weekends, too. I missed him so much. Even when he was here, we couldn’t even talk or watch a TV show together. Eventually, it didn’t work out on either side, and now I have my husband back. You know what I learned? Money may always be a struggle for us, but not everyone is blessed to have someone they want to be with all the time. Life is short, and days are finite. Spend all the time you can with the people you love. I am coming right along with my smart phone. I recently went to the Verizon store, where the woman fixed my phone by turning it off and turning it back on. Oh. Although she was my age, she kept calling me “dear” and “honey,” but I was nice to her anyway. Then she told me that I could call Google customer service for help on the app. that wasn’t working. I couldn’t believe it. I said, “But it’s a free app. Is the tech support free, too?” She assured me that it was, so when I got home, I pulled up GooglePlay, put in my contact info, and hit send. My phone rang while it was still in my hand. Eerie. This very nice guy named Jim asked for my first name and a bit about my problem. Jim then introduced me to Bill, who deals with music issues, and it was all very chummy. Bill got it all fixed up, very patiently and kindly. He didn’t even act like he wanted to call me “honey” or “dear,” and they never put me on hold. 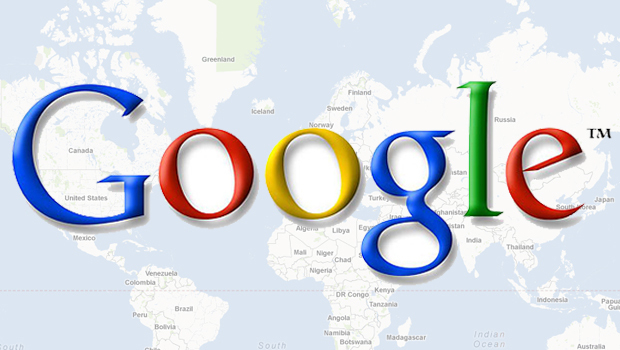 You know how some people fret that Google is taking over the world? Even though I will miss having a surname, I say: How soon can we make this happen and how can I help expedite the process?